Exclusive! 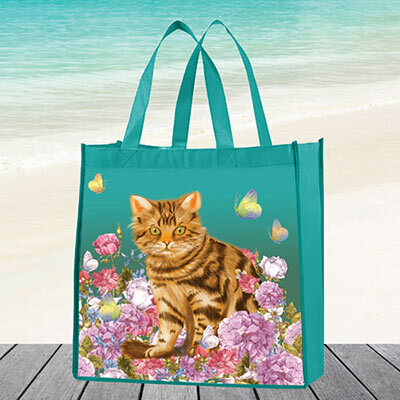 A frisky feline adorns our prettily practical Garden Cat Tote perfect for a day around town. The non-woven polyester material is durable and sturdy. Printed on both sides. Coated for easy wipe-off cleanup. Imported. 14"w, 12"l handles.